What Type of Fence Should You Build in Broward County? If you’re planning on building a fence, you’re probably debating what style and material to build. There are a ton of different types of fencing and each has its pros and cons. Let’s take a look at a few of the options available to you, and when you might want to use each one. One of the more common styles of fence is the tried-and-true picket fence. The white picket fence is the stereotypical fence around the front yard in almost every picture you see of a typical suburban home. Picket fences can be made from vinyl, as well as wood. Vinyl fences are a little easier to install since they come pre-molded – all you need to do is attach them together with posts and you’re done. Wood picket fences can be built from scratch or bought in pre-built panels. 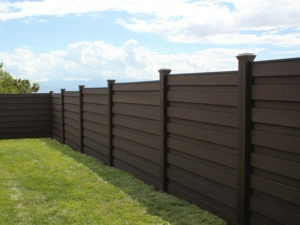 Panel fences are also quite popular, particularly if you’re looking for something that can provide a bit more privacy. They’re good for this application because they have little, if any, space between the panels. You can see where this would be a problem with picket fences. Panel fences are generally made from various types of wood, but they can also be found in vinyl. Whichever material you prefer, you can buy pre-made panels that just need to be erected with posts and caps. Chain link is another very common type of fencing, and it’s usually in places where the look of the fence is secondary to its practicality. There’s not a heck of a lot you can do to change the look of chainlink. And chain link probably provides the least privacy of any fence, since the whole thing is basically large spaces. You can buy slats that can be woven through the links, however, to improve their privacy. Once you’ve decided on the type of fence you prefer, you’ll still have a few more options to choose from, such as fence posts, gates and automatic gate openers. Do your research and know all your options before you make any decisions. When you’re looking at your fencing 10 years from now, you’ll be glad you did!